Mauricio Mac Gregor epitomizes integrity, loyalty, and hard work in every detail of your real estate transaction. He is a savvy negotiator with a reputation for tenaciously protecting his client’s interests. Mauricio attended the Universidad Iberoamericana in Mexico City where he pursued a career in architecture. 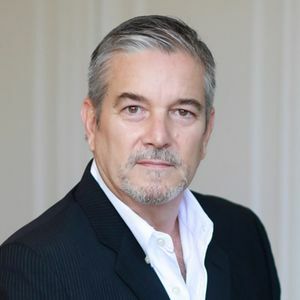 He then moved to Southern California where he, in 1990, earned a Marketing and Business degree at the National University of San Diego, and in 1991 founded and managed a very successful international trading company. In 2005, after the sale of their business, the Mac Gregors decided to relocate to Dripping Springs, so they could pursue and expand their interest in equestrian activities. Mauricio is also an avid golfer, and both of his daughters graduated from Dripping Springs ISD. In 2010, following his passion for architectural spaces, Mauricio acquired his Texas REALTOR® license, and has since, been specializing in residential, equestrian properties, and farms, in and around Dripping Springs, with great success, earning him a spot as a top producer in the area. Mauricio, is 100% bilingual, which has allowed him to position his clients properties in international market forums, resulting in transactions with foreign nationals. He is also well known to always go above and beyond, in order to offer the best service to his clients. His outgoing personality, and innate negotiation skills have resulted in impressive client portfolios.Through hard work, customer care and integrity, Mauricio will meet your expectations as a Seller or Buyer.